The World Wide Fund for Nature (WWF) is among the world’s largest environmental organizations, engaged in conservation in over 100 countries. WWF’s mission is to work towards conserving the world’s biodiversity; ensuring that the use of natural resources is sustainable; and promoting the reduction of pollution and wasteful consumption. WWF supports capacity-building of conservation professionals in developing countries through the following two programs. 1 — Prince Bernhard Scholarships. The PBS fund professional training and formal studies of conservationists in developing countries. WWF normally prefers to support mid-career professionals who undertake studies in their own countries or regions. The maximum amount of funding is CHF 10 thousand per scholarship. APPLICATION: The PBS operates on an annual cycle. Potential applicants begin by studying the PBS eligibility criteria and application procedures. Applications (English, French, or Spanish) are submitted to WWF’s contact points before the calendar deadline. PBS posts Frequently Asked Questions (FAQ) to help candidates understand the application process. It also posts WWF’s contacts for the PBS program. 2 — Russell E. Train Education for Nature Program. WWF-U.S. administers the EFN to develop conservation leaders in Africa, Asia, and Latin America. The program provides financial support for higher education, short-term training, and practical experience. APPLICATION: The EFN posts available opportunities, eligibility criteria, and guidelines to apply. Some programs are open continuously, while others announce calls for proposals that have application deadlines. Grant offerings include the Russell E. Train Fellowships; Professional Development Grants; Conservation Workshop Grants; Reforestation Grants; Funding for Women in the Congo Basin; and EFN Alumni Grants. Additionally, the EFN may occasionally offer special grant opportunities in partnership with other funders, e.g., for regional programs or for specific thematic areas. WWF’s global website is available in English and Spanish. Regional and country sites are available in additional languages. 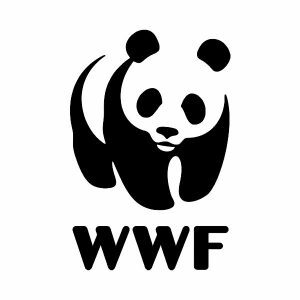 In Canada and the USA, WWF remains the World Wildlife Fund (its original name from 1961). Other countries use the name at the top of this profile. Some of WWF’s regional and country offices make grants in the context of their programs and projects. Grant seekers can inquire with WWF’s country and regional offices to determine if opportunities may be available.